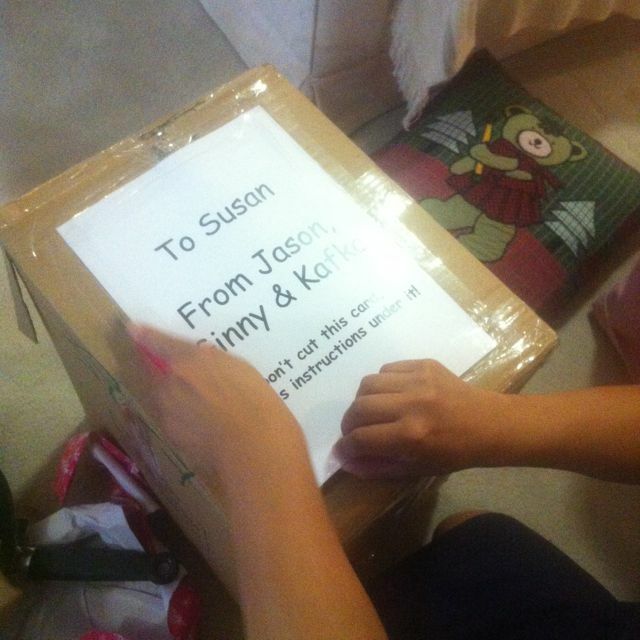 We have a problem with presents at my house. It’s called opening them. My wife, in particular, prefers the right-now as opposed to the at-the-appropriate-time (and for the record, it was her idea to open my birthday present early). 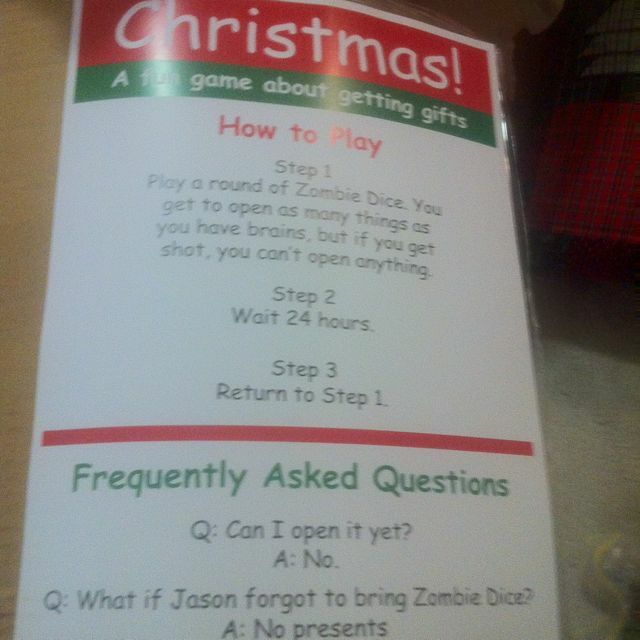 We were doing Christmas over a few days with our respective birth families, so I decided to spread the present opening out a little this year with a little game I like to call Christmas.